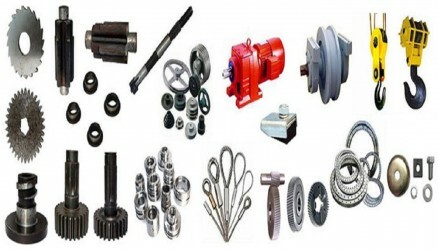 We provide quality All-Terrain, Rough-Terrain, Crawler Crane parts and all other types of mobile crane parts at best prices. Crane parts are shipped worldwide from our main crane parts office. OEM and replacement crane parts can be sourced for many types of crane. From the latest cranes through to older obsolete machinery; We can supply all your requirements or provide a solution for your crane problems. Many crane spares are in stock and can be shipped immediately. For longer delivery crane parts we will provide you with lead times, tracking your order and keeping you updated on progress. Our crane spare parts team have over 30 years of experience in the crane business, from working with the crane manufacturers, through to managing crane hire fleets and crane service engineers. We have been operational since the 1984's, We can save your money and provide you with quality crane parts. Besides supplying parts of well known European brands, we are also specialized in Amerikan and Asian crane brands, crane parts and products. From our establishment in the Turkey all required parts can be delivered to anywhere you wish. Considering our vast knowledge and ever-growing experience with these products, it's no surprise that we deliver no less than high quality work.